Click here to see programs in which Dr. ChinQuee has been featured. Dr. ChinQuee with girls ages 13-15 at Granville Place of Safety, as part of work by Heartbeats of the World on the Island of Jamaica. The mission of Heartbeats of the World (“HOW”) is to enrich the lives of women, adolescents and children in underserved areas of the world by providing medical resources and educational opportunities to address poverty, unemployment, illiteracy and the prevention and treatment of HIV/AIDS, sexually transmitted diseases and teenage pregnancy.HOW’s educaitonal arm, Bridging the Gap/Seeds of Hope provides educational and vocational training to young people in Jamaica who have been abandoned or otherwise left behind. 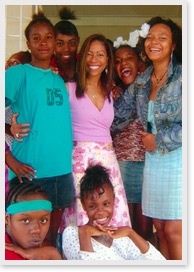 HOW has contributed substantial funds and medical supplies to Mustard Seed Communities, which provides care and shelter to abandoned physically and mentally handicapped children, children with HIV/AIDS and pre-teen and teenage pregnant girls on the Island of Jamaica, Haiti, Dominican Republic, Nicaragua and Zimbabwe. Dr. ChinQuee’s practice, The ChinQuee Center for Health & Wellness, is featured in a video on the topic of Age Management. 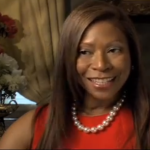 Dr. ChinQuee was featured on WPIX’s News Closeup program where she discussed anti-aging with Marvin Scott. Click the image to watch the program. 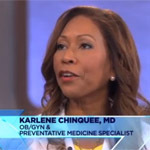 As a Board Certified Obstetrician/Gynecologist, Dr. ChinQuee was asked her opinion on whether Kate Middleton’s weight loss would have an adverse effect on her chances of becoming pregnant. 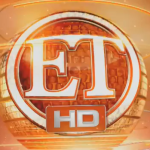 Click the Entertainment Tonight logo to watch the segment. Entertainment Tonight interviews Dr ChinQuee regarding Beyonce’s baby, Blue Ivy, and recovery time for natural childbirth. 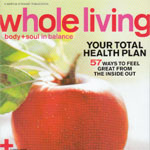 Dr. ChinQuee was featured in the September 2010 issue of Whole Living magazine, a Martha Stewart publication. The article featured five “notable healers. Click on the magazine cover to view Dr. ChinQuee’s page in the article. As seen on Dr. Oz (January 28, 2013) Dr. Chinquee discusses the benefits of Biopuncture a natural plant rememdy that offers pain relief, increased mobility; reduced inflammation and accelerated healing for neck pain, back pain, tennis elbow, knee pain and more. 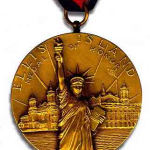 The Ellis Island Medal of Honor was bestowed upon Dr. ChinQuee in 2008 for her contributions to humanity. Dr. ChinQuee spoke to more than 300 doctors at the AMMG November 2011 Conference. Click the AMMG logo for more information. 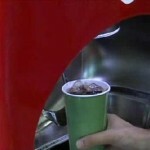 Dr ChinQuee talks about sugar craving on Marvin Scott’s segment about Mayor Bloomberg’s soda ban.